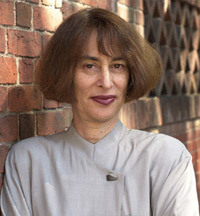 The donation of Naomi Schor's papers in 2002 laid the foundation for the Feminist Theory Papers, which were expanded in 2004 with the donation of the Elaine Marks Papers. 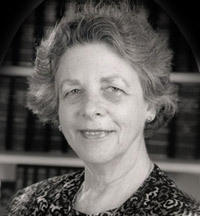 The newest collection within the Christine Dunlap Farnham Archives, the Feminist Theory Papers was conceived as a resource for researchers of feminist scholarship and its recent history, bringing together the unpublished papers of important feminist theorists in the US and abroad. The collection offers a rare perspective on the rigorous interdisciplinary and international work that brought feminism to the vanguard of research in the human sciences. The Pembroke Center’s role over the past two decades as a center dedicated to feminist theory makes it particularly suited to conserve the legacy of late-twentieth-century feminists, many of whom are already represented in Pembroke Center records as participants in the Center’s various research activities or as authors in the pages of differences: A Journal of Feminist Cultural Studies. The Pembroke Center is actively expanding the Feminist Theory Papers collection, which is housed at the John Hay Library. The Schor Papers and the Marks Papers are currently being processed and will be available to researchers in Fall 2005. Inquiries regarding access to the Archives should be directed to Denise Davis (Denise_Davis@brown.edu).